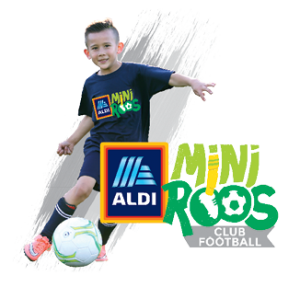 Additional Family Members – a $20 discount for each additional sibling who registers from the same family as either a MiniRoos or Junior player. Does not include Senior players. Referee fees are included in the player registration fee, where applicable. This list is indicative of what the registration fees are used for and this list is not exhaustive. Wolves FC DOES NOT charge a weekly administration fee. At some football clubs, they charge a weekly administration fee (or sometimes called a game fee). 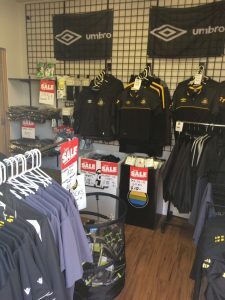 But be aware that these clubs may charge a lower player registration fee and then ask players to pay a further weekly administration fee to the club for each week of the season. Don’t be caught out. These weekly administration fees can vary from $5 to $10 per player, and so, an additional cost over a season can amount to between $90 to $180 (this assuming 18 games a season are played). Some teams may also collect a team levy for end of season activities and breakups. Also, all players are responsible for their disciplinary fines they incur over the course of the season. These items are not part of your player registration fee. Wynnum Wolves Football Club Inc. Note: If you select the Direct Transfer option, please reference the transaction with the player’s surname and age group and then email the Club Registrar to confirm transaction (Please include a screen shot of the transaction to assist with matching up the transaction). Please choose carefully, we do not give refunds where you have simply changed your mind or make a wrong selection. Where a player has not been coached or played any games for Wolves FC, a refund may be given, but registration fees, competition fees and administration fees may still apply for which a full refund cannot be given. The registration and competition fees vary depending on age and the administration fee is $100. Once you have been selected, coached, played preseason games, played grading games and/or played competition games, NO REFUND will be given. ONLY under exceptional/extreme circumstances will it be considered and the Wolves FC Committee will decide the outcome. Where a refund is considered, registration fees, competition fees and administration fees will apply before any refund is given. To request a refund you must detail the full name of the player, age group, team, the reason for the refund and any evidence to assist why a refund should be given. To further discuss refunds for your situation, you must contact our Club Registrar in the first instance.